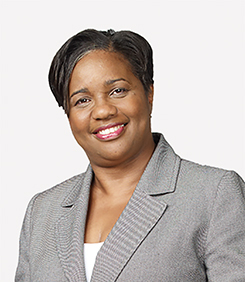 Joy Brady was appointed Assistant General Manager, Chief Accounting, Taxation and Reporting Officer for The Jamaica National Group in July 2018, with responsibility to monitor the financial accounting and reporting functions for The Jamaica National Group and its subsidiaries and to ensure that they are in accordance with international accounting standards. Mrs Brady is a chartered accountant by training with more than 20 years of financial management experience in the commercial industry and more than fifteen years of experience in auditing. She joined the Jamaica National Building Society in 2004 as Group Finance Manager and was promoted to Executive in August 2011.